It is a little less well known than skip hire, but wait and load could be a much more desirable service for you and your business. It can help to save you time and money. Read on to learn more about the advantages of wait and load, as well as how to determine which is the ideal service for you. What Are the Benefits of Wait and Load? A wait and load service is ideal for having large, bulky waste items efficiently removed from places that are difficult to access or limited in space. For instance in busy city centres, many businesses produce lots of waste but do not have any room for a skip – it is the perfect solution for situations like these. Even in cases where there might be room for a skip, getting permission from the council to have a skip in a city centre is very complicated. Wait and load eliminates the need for a permit, as well as taking away the risk of any fines or fuss. This is all not to mention the problematic road conditions within thriving city centres, such as confusing one way systems and access restrictions. Because of all these factors, wait and load can, in the right circumstances, be a much preferable option to skip hire. It is also much more cost and time effective. How Does Wait and Load Work? Once you arrange a wait and load service with a reliable waste removal company, such as Colson Transport Ltd, the weight will be immediately taken off your shoulders. A friendly team member will meet you at your site, at a time of your choosing. 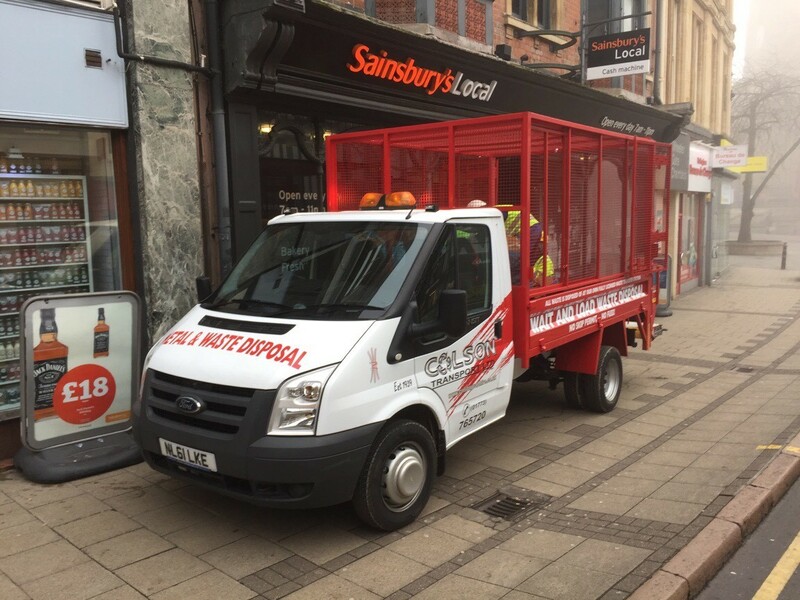 We will do all the work, loading your waste onto our specially designed waste removal vehicles. For businesses, this means none of your staff member’s valuable time will be wasted dealing with loading the waste. Who Uses Wait and Load Services? More often than not the wait and load services we provide are for commercial projects. However, that is not to say it isn’t suitable for domestic purposes too. It is ideal in cases where properties have limited access (such as blocks of flats in city centres), or generally for any locations where a skip is simply not possible. What Happens to the Waste Once it is Removed? Where your waste goes after it is taken away by a wait and load service depends on who removes it for you. As a very environmentally conscious company, Colson Transport aim to recycle as much waste as is possible to do. What is not possible to be recycled will be disposed of carefully and responsibly, because we understand that failure to do so can be highly damaging to our environment. Should you Choose Wait and Load or Skip Hire? There are many benefits to wait and load, as are are mentioned above. However, there are some cases where skip hire would be the more appropriate option for a project. It is about knowing the benefits of both and weighing up which option will suit you best. Providing you have the space and permission, skip hire is preferable in situations where you might not know when a project will be finished. If you would rather take a couple of weeks, for instance, to fill up a skip with a little flexibility, this would be an ideal option. However, some in certain situations a large skip is just not a feasible option. In these circumstances arranging multiple wait and load trips, as and when it suits you, would be the best choice.